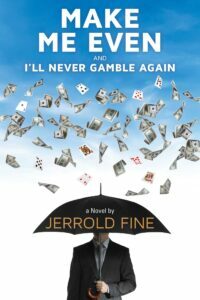 Hedge fund pioneer Jerrold Fine discusses his career and his novel, Make Me Even and I'll Never Gamble Again. In his unfinished novel The Last Tycoon, F. Scott Fitzgerald wrote that there are no second acts in American lives. While this statement is widely quoted – or misquoted, according to purists – clearly it does not apply to Jerrold Fine, whose life has had at least three acts. Having begun his career in New York City after graduating in 1964 from Wharton, Fine at age 24 was one of the pioneers of hedge funds on Wall Street. The fund that he and his partners launched in 1967 grew by the 1970s to become the largest in the industry. Fine left the partnership in 1976 to set up his own firm – Charter Oak Partners Management – in Connecticut. That second act continued through 2014, when he converted Charter Oak into a family office to embark on Act Three. At age 72, Fine chose to become a novelist. His debut novel – titled, Make Me Even and I’ll Never Gamble Again – was published in August, and it packs the power of a Babe Ruth home run. Its multi-layered narrative is at one level a coming-of-age tale of a middle-class kid from Cincinnati named Rogers Stout. His father is a dedicated doctor who cares deeply for patients. After considerable soul-searching, Rogers chooses not to follow his father into medicine but decides to go to business school and pursue a career in finance. The novel paints an affectionate portrait of the Wharton School in the 1970s. At the same time, Make Me Even is the story of life on Wall Street in the turbulent 1970s and early 1980s. At its heart, it is the saga of a brilliant young man’s efforts to cope with an unhealed – and possibly unhealable — wound. Stout soon proves he knows how to win. Two seasoned traders – Ronnie Davis and Jimbo Burns – take the lad under their capacious wings, and one evening, they invite him to dinner to celebrate the year’s largest trade. Before long the revels move across the Newport Bridge into Kentucky and a lively poker game ensues, during which Stout demonstrates his mastery and wins a windfall of cash. The traders are impressed. They realize – as does Stout – that the same skills that make him an exceptional poker player could serve him as well in a financial career. Stevens, Stout’s boss, suggests that he prepare to enter the world of investment by studying business and finance at his own alma mater, the Wharton School of the University of Pennsylvania. The scene in which Rogers tells his father that he wants to study business rather than medicine is among the novel’s most moving. Disappointed at his son’s decision but still unfailingly empathetic, Dr. Stout tells Rogers: “I’m so proud to be your father. I only wish your mother were here to witness your growth and development. If you want to head off to Philadelphia, do it. I’m sure you will impress them and excel at whatever you choose to do.” Rogers, who hates to cry, cannot hold back his tears. For all his brilliance, Stout is still an emotionally vulnerable teenager; he begins a hesitant romance with Charlotte Marks, the daughter of one of his father’s colleagues. Before he leaves for college, the couple go with their friend Ronnie Davis to a poker game, where they meet Everett, a factory worker. Stout is in top form and keeps winning even as Everett keeps drinking and betting while his losses multiply. 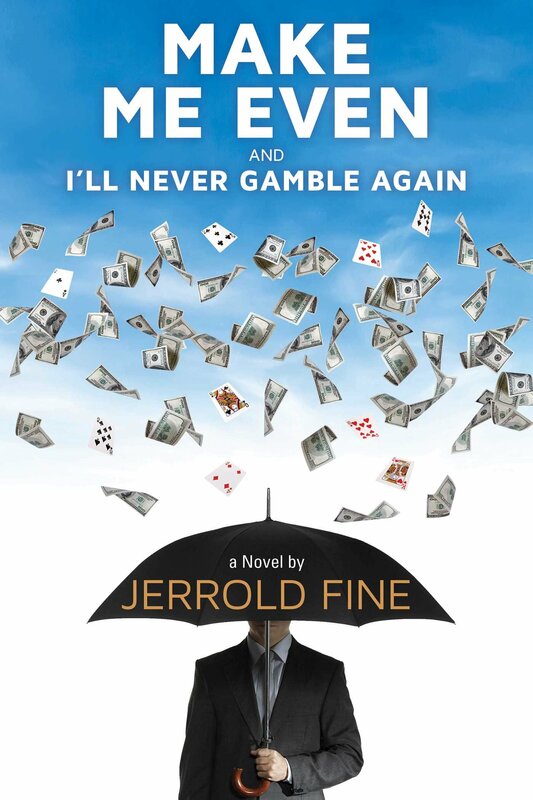 Realizing the extent of his devastation, Everett rolls his eyes to the “Heavenly Big Guy” and begs: “Make me even and I’ll never gamble again.” Stout is in a quandary: Fairness dictates he should claim his winnings; kindness prompts him to let Everett off the hook. Charlotte helps him deal with the dilemma when she says, in tears, “You can’t take his money.” Stout listens to her, seeks out Everett and presses the money into his hands. An act of compassion solves the problem. McNeer’s class is oversubscribed. So Rogers, ever mindful of the connection between gambling and financial markets, plays a poker game with the professor who, despite having a winning hand, graciously accepts him in his class. One of McNeer’s most challenging assignments is having the students analyze a proposed and well-publicized merger between West Pecos Pipeline and Gulf Oil. It is clear why the pipeline’s shareholders, who stand to bag a handsome premium, want the buyout. What is less obvious is what the takeover would mean for Gulf Oil. Most students believe this to be a win-win transaction. Stout, however, doubts whether the professor would pose such an easy challenge. The deal feels just too pat. He keeps digging deeper to discover the hidden catch – and finally finds it in a “Legal Issues” footnote. West Pecos Pipeline faces an environmental liability lawsuit – whose exposure could impact its future and greatly magnify the risk for its potential buyer. Stout is meticulous in doing his homework – and eventually is the only student to speak out in class against the merger. The scenes in which Stout defends his analysis against some of his smartest, richest and most entitled peers are among the most dramatic in the novel. Impressed by Stout’s performance, McNeer recommends Stout as an entry-level security analyst to Burr, Addington & Merrit (BAM), an investment bank in New York. A few weeks before graduation, Stout gets a signed job contract from the investment bank. Also attracted by Stout’s brilliance is Elsbeth Aylesworth, a highly intelligent and seductive class beauty. Should Stout stay loyal to his first love, Charlotte Marks — who has moved to Cambodia to work with Doctors Without Borders — or transfer his affection to Elsbeth Aylesworth, whose presence makes his pulse race? That is the dilemma that the 21-year-old faces as he graduates from business school and prepares to take his first job in New York. Initially as a trainee and then as a junior securities analyst at BAM, Stout is now able to put his ideas into action. The novel follows Stout as he steadily builds his personal investment account by exploring opportunities that had germinated during the Wharton years. Among them, he closely follows Resorts International, a casino operator that is making a big bet on Atlantic City, hoping to create an East Coast rival to Las Vegas casinos. Instead of relying just on what he reads, Stout makes several trips to the construction site to speak with the workers and learn for himself what is going on. As the stock gradually rises, well-meaning advisors suggest that he sell to safeguard his profits. But Stout’s appetite for measured risk, coupled with his gambler’s instincts, encourage him to hold on to his investment even after it has tripled in value. Stout’s investment in Resorts International pays off handsomely – and his personal investment account, on which BAM’s compliance staff and his boss Carter keep an eye, becomes massive for a man still in his 20s. Such victories encourage Stout to take on bigger risks. He researches the potential impact on oil prices if the Shah were to be overthrown in Iran and dips his toe into the dangerous world of commodities trading. He considers short selling bonds – based on the view that inflation could trigger an increase in interest rates and make the bond market collapse. As Stout wades into these potentially treacherous waters, his business associates issue a warning. Carter tells Stout that he imagines he is “an oil market maven and a Fed policy seer wrapped in a packet labeled HUBRIS in capital letters.” Everything seems a little too rosy. This review contains no spoilers; readers will have to discover for themselves how it turns out for Stout in his financial as well as romantic life. Still, one conclusion emerges clearly from the narrative. In the end, Stout will never be even. His drive to win is rooted, above all, in the void left by his mother’s death. That is a wound that neither money nor love can heal. F. Scott Fitzgerald would probably agree.